Finished in stunning blue with white lemans stripes and roundels . 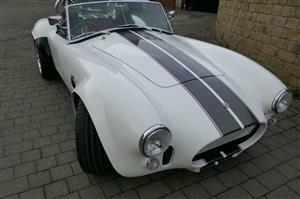 Probably the best handling Cobra replica available. 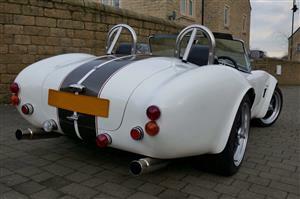 This British manufactured sports car has a backbone chassis which endows it with superb handling to cope with the immense power. Finished in a classic dark blue with Wimbledon white stripes. 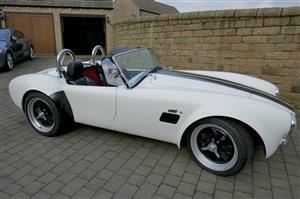 We have just sold this great car, but we’re always looking for other interesting cars to buy for our stock . 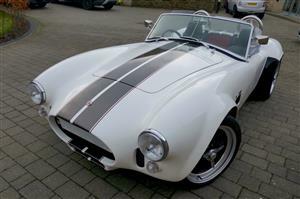 We like all interesting classic & performance cars , and really do pay the best prices for the best cars .